Canoa is located north of Bahía de Caraquez, Province of Manabi – Ecuador, and its history begins way before the arrival of Spanish Conquistadors. Local stories and tales say that the natives of Canoa hid deep in the hills when they saw invaders approaching, leaving the beautiful beach deserted. 100 years later, Jesuit priests arrive and along with Canoans, they celebrate the birth of yet another Spanish community. In its beginnings, Canoa was not Canoa; it was called Pantaguas o Pintagua. Juan de Velasco, a priest, was the first to include Canoa in a map of the old Reino de Quito (Kingdom of Quito). Eventually, this beautiful, sunny beach was officially recognized and became part of the Cantón Sucre (Bahía de Caraquez). This happened in the sunset of the 19th century and sunrise of the 20th century. Then, at the end of the 20th century, Canoa was registered as part of the Cantón San Vicente, which is actually closer. Today, the more than 17 kilometers of breathtaking ocean, beach and sand represent one of the most valuable spots in Ecuador. 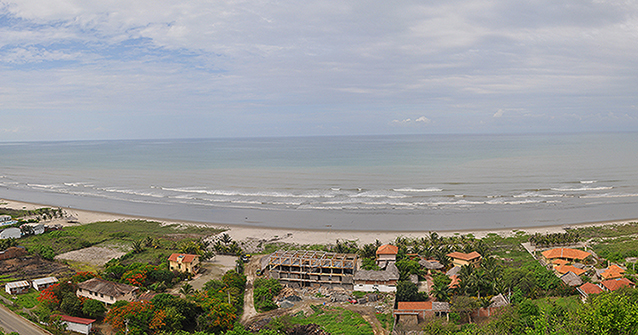 Canoa has something for everyone: surf, paragliding, sightseeing, party, shopping, relaxation… you name it, Canoa has it. So come in, feel yourself at home, sit back and let us all at Canoa Beach Hotel do all the work.